Hey I purchased both of your time fantasy packs and they are great. 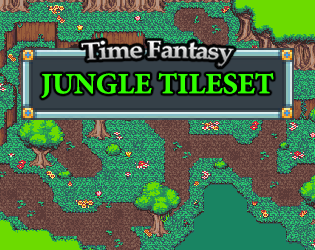 I did notice that for rpg maker you did not include a Tile A3. Will you be including one in another expansion and also will you be making facesets for the character sprites in the future? No need for an A3. RPGmaker uses that for block houses and my houses are instead included on the object-layers. Here is something from me 🙂 I love your packs and hope for much more! I have sent you also by email suggestions. Thank you for your great work! Your work is amazing and I’m using your resources to tell my story through a game! Thank you! I hope to see more of your work and I will buy every dlc that you release for Time Fantasy! I hope to see more of your work soon! Hey I wanted to know if you have any plans of releasing a cyberpunk or futuristic time fantasy pack base? if not is this something we could pay to have created? Farm and Fort Expansion released! This week the new Time Fantasy expansion pack has been released! 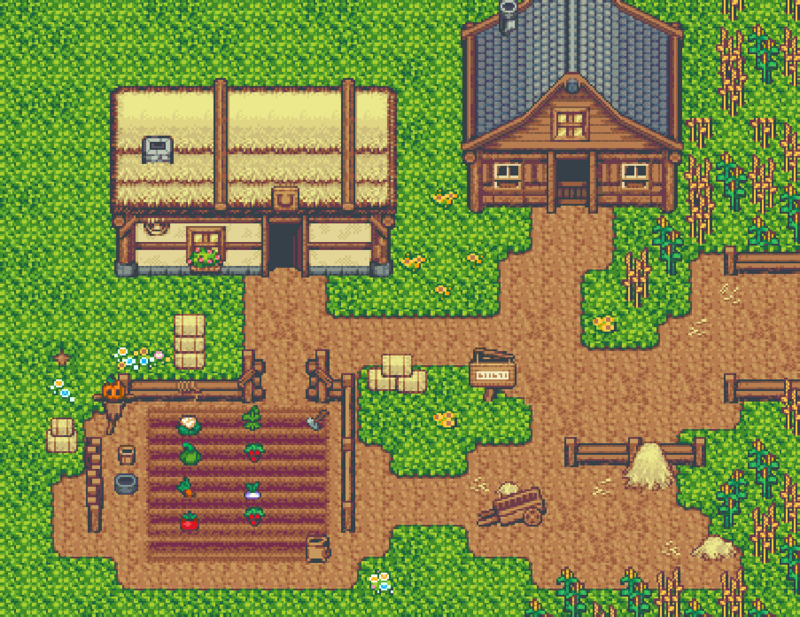 Create farms with new tiles for houses and barns, and a variety of crops will bring them to life with multiple stages of growth. Build forts with spiked fences, tents and huts. Defenses and cages can build a soldier’s encampment or even an orcish village! Expand on your world’s locations with much-requested graphics for jail cells and tent interiors. This pack also includes 335 ICONS in the Time Fantasy style– icons for skills, items, weapons, equipment, loot, UI elements and more! Iconset with 335 icons — skills, items, equipment, loot and more! The pack is available on RPGMakerWeb (RPG Maker License) or on itch.io (general license). Today I launched Patreon page. It’s something that I’ve been thinking of doing for a long time, but I never really felt great about begging for money. I have no problem asking for money if I feel like I’ve earned it! So I’m going to be giving away a lot of graphics to patrons. I recently finished up a new sprite expansion and decided that it would be a good opportunity to release it as part of the Patreon campaign. The new pack is called “Lich Crusades“, and all patrons will be able to download it immediately. On top of that, patrons will be able to request custom graphics for me. I’ll try to get as many done as I can each month! The more money that Patreon brings in, the more time I can spend to fulfilling these kinds of requests.